Vitamin B12 is an essential water-soluble vitamin found in mostly animal based foods. A deficiency is rare but can be a problem if you have one. According to the National Institutes of Health, vitamin B12 deficiency affects between 1.5-15% of the population. 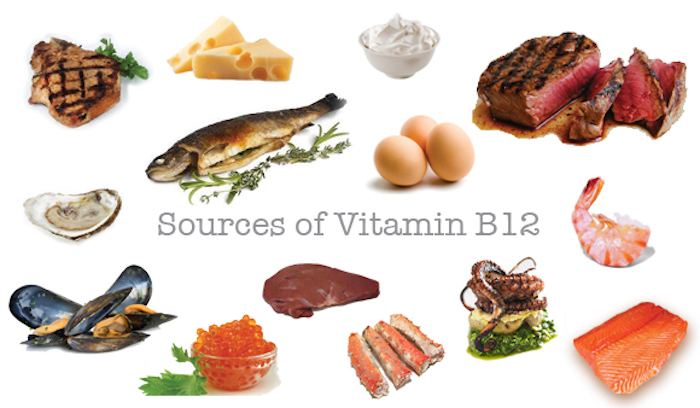 Vitamin B-12 is known as the energy vitamin and helps to convert food into energy in the body. It also supports heart health, nervous system health and normal formation of red blood cells. * Something very interesting about vitamin B12 is that it is stored in the liver for several years. Which foods contain vitamin B12? Who is at risk for vitamin B12 deficiency? Those on a vegan diet and people who have had weight-loss surgery are at a higher risk for vitamin B12 deficiency. Vegetarians should be okay as long as they eat dairy products, eggs or foods fortified with vitamin B12. Plants do not make vitamin B12 and therefore, vegans need to have foods that are fortified with vitamin B12 or take a supplement. People with weight loss surgery are at risk because their body has a hard time extracting vitamin B12 from food. Also, celiac's disease and Crohn's disease can cause issues with vitamin B12. If you are unable to absorb vitamin B12 from the intestinal tract, you may want to consult a health care professional. A mild B12 deficiency can be helped with a daily multivitamin or a B12 supplement. As a nursing home dietitian, a good number of my patients have a deficiency and require vitamin B12 for a certain period of time to correct their deficiency. I recommend getting most of your nutrients from food but if you are not able to or need more of a certain nutrient, a supplement may be the way to go. Nature's Truth has both fast dissolve tabs and sublingual vitamin B12 liquid available. The sublingual one gets placed under your tongue for fast absorption. Check out Nature's Truth to see all that they have to offer. Their products can be found online at Amazon, at Rite Aid, CVS and at Target.com. Disclosure: This is a sponsored post by Nature's Truth. Thank your for supporting the brands that makes The Nutritionist Reviews possible. I was provided compensation and product to facilitate this post. Due to being unable to absorb B12 and Folate properly I take the mythyl versions of these vitamins.